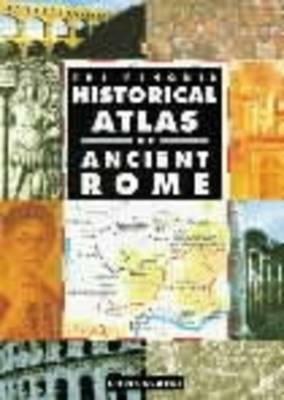 Part I From City to Empire: The Origins of Rome; The Unification of Italy; The Wars with Carthage; Rome's Conquest of the East; The Over-Mighty Generals; Caesar's Conquest of Gaul; Crossing the Rubicon; The Civil Wars; Shades of the Departed. Part II The Imperial Regime: The New Order; The City of Rome under Augustus; Claudius and the Conquest of Britain; Nero and the Year of the Four Emperors; The Western Provinces; Three Western Cities; Vespasian and the Jewish War; Trajan's Wars; The Roman Army. Part III The Imperial Peace: Hadrian's Travels; The Eastern Provinces; Three Eastern Cities; Writing and Literacy; Trade and Transport; The Roman Amphitheatre; Roman Spain; Guarding the Frontiers. Part IV The Troubled Century: The Year of the Six Emperors; The Parthian Wars; The City of Rome under the Severans; Mystery Cults; Roman Africa; Three African Cities; The Empire at Bay; The West Breaks Away; The Rise and Fall of Palmyra. Part V Restoration and Fall: Diocletian and the Division of Power; The Spread of Christianity; Constantine the Great; Technology and Engineering; A Fragile Prosperity; The Fall of the Western Empire; The Inheritors.